So far, with Week 1 under my belt, I don’t feel like I have the experience to post much….. 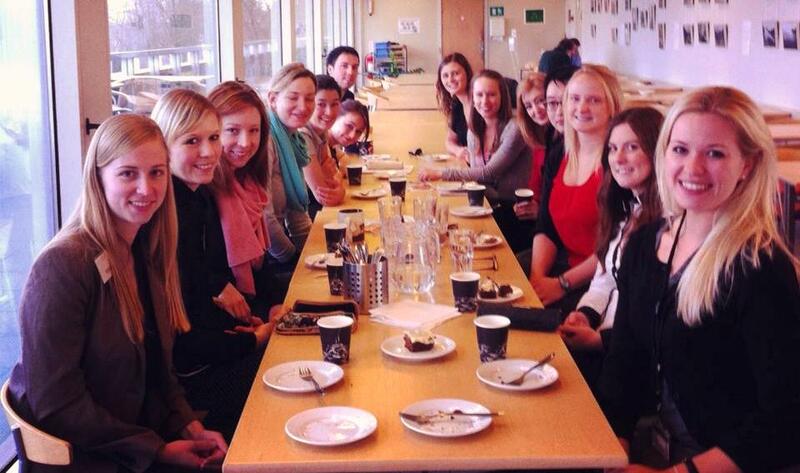 The staff and other interns (about 20 of us) are really nice and easy to approach. Everyone seems very busy, and this is the second year of the 2-year cycle where the funding is coming in and divisions are starting to allocate the funding on their initiatives….. I think…. It’s been a bit hard to remember all the details of the timelines. And I have barely wrapped my head around the organizational structure in this office, much less parts of the WHO outside the office. I have sat in on some interesting meetings on health over the life course in the Health 2020 policy framework, Preconceptive health, and Non-communicable Diseases. 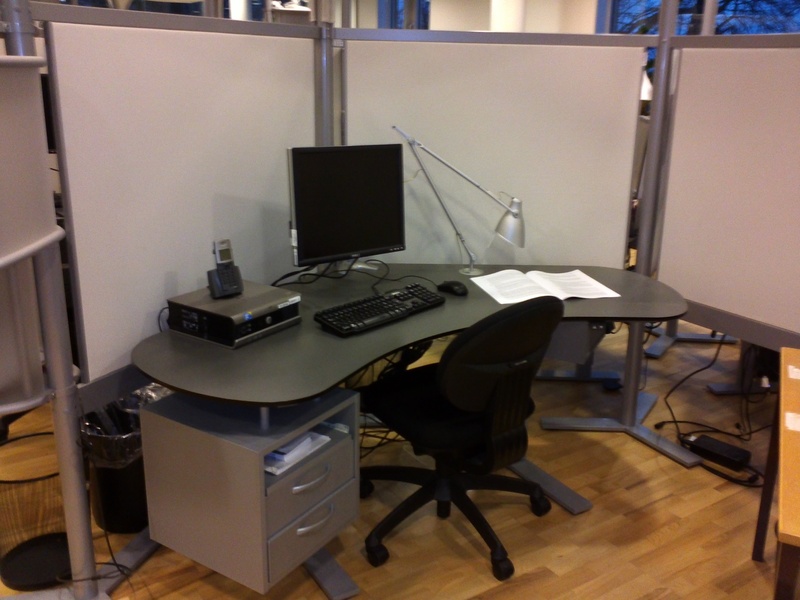 In this Regional Office, there is my supervisor working on Healthy Ageing and me, the intern. It feels a bit overwhelming to be such an advocate for older adults’ health issues when not everyone around you fully understands or comprehends them. I try to keep former clients in mind and take things one day at a time. We can’t address all aging issues at once…. 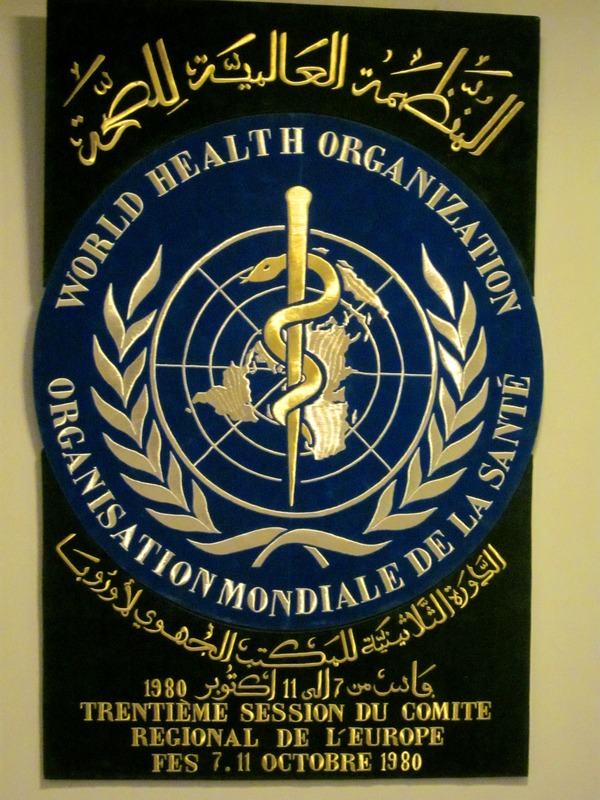 I will say that it is hard to finalize a PhD at night and work at the WHO as an intern during the day. The pace of the work is quite different, where I am ticking things off my checklist at night and writing like a madwoman, and then reading background on policy and taking a long-term (like 6 year) approach to the work during the day. I would suggest to other students to do the internship before the final 3 months of the thesis. 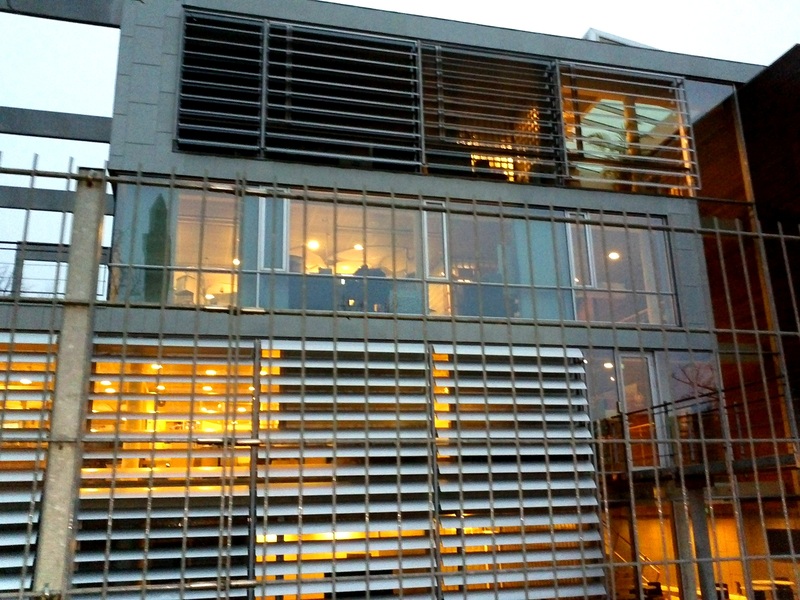 The office building I am working in. Well, week 2 went better. At least I felt like I had a better overview on what was happening. 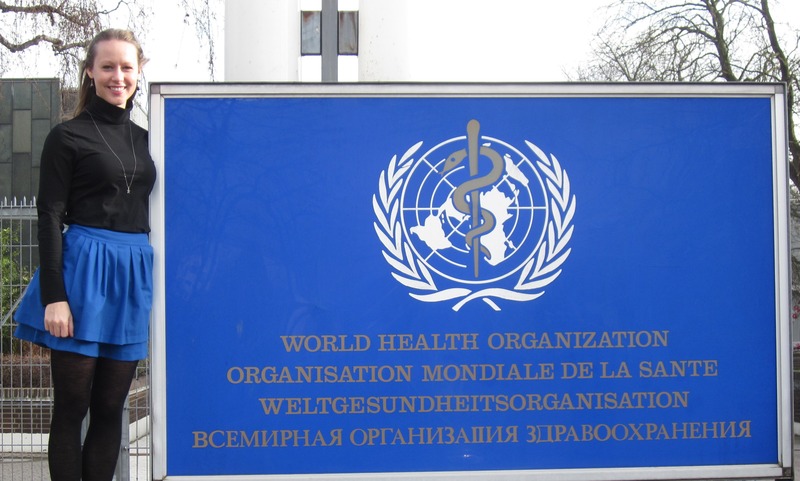 We had an Introduction meeting for new interns and staff and that was pretty helpful to get an organizational view of World Health Organization, World Health Assembly, Regional Committees, etc. And most of them are referred to as acronyms. Lots and lots of acronyms to remember. 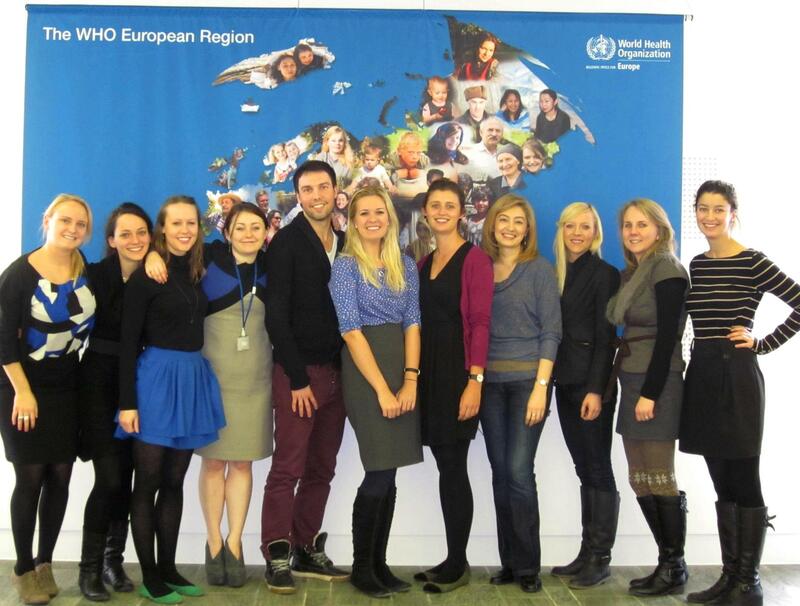 The interns also seem more comfortable with ourselves and by the end of the week, we were writing about meeting up over the weekend and invites to the WHO Regional Office for Europe Interns group. I was also happy to learn that I was not the only one feeling a bit confused by the language used. In one meeting, I think the colleagues got the impression that I was talking about philosophical ideas because we were discussing the life course, but I understood that we were talking about terms and concepts within that framework – drawing from my background studies on it. Later, one of the colleagues asked nearly the same question I had, but with different jargon and everyone understood. I haven’t quite got the lingo down yet….One other intern asked me, “if they give you a document and ask you to update it, what does that mean to you?” I said I would check to see if the data/numbers are the most recent – update the data. She said, she thought so, too, but after some work, she found out they meant that not much has changed in the content of the document, but the wording needs to be updated for the latest publication of it….. So, it’s good to clarify and not assume that the intern work is the same as your academic work that you are doing in parallel! I had a meeting with my supervisor and that was very helpful to redirect my focus from trying to understand the multiple policies, initiatives, frameworks and implementation plans I have been hearing about in meetings. It seems like they all fit together and can easily blend in a new interns head, so it was good to hear which specific direction I should be focusing on. He had a good point that it is better to write one good document that can be used than spread yourself through several tasks that are easily forgotten. Getting more comfortable each week. I had a meeting with my supervisor about the progress on the tasks we discussed previously. It’s funny, because I will come in with my agenda and he just gets to the point and asks about the task with the most pressing deadline. He asks my opinion or experience, with telecare, for example, and listens to the answer. Or he will have some information he has come across and wants to share it with me. And we try to figure out what we can use and how. Maybe it is because we are the only two that are allocated full time to the Healthy Ageing division. I think we work well together, it feels more like colleagues than with most anyone else I work with. So, we discussed my suggestions for the glossary of telehealth terms, set up some meetings with people working in eHealth and discussed practical matters – money – when it comes to suggestions for technologies to incorporate into the Global Network on Age-friendly Cities. It was a good meeting, renewed my enthusiasm for the project to hear how he was excited about it. 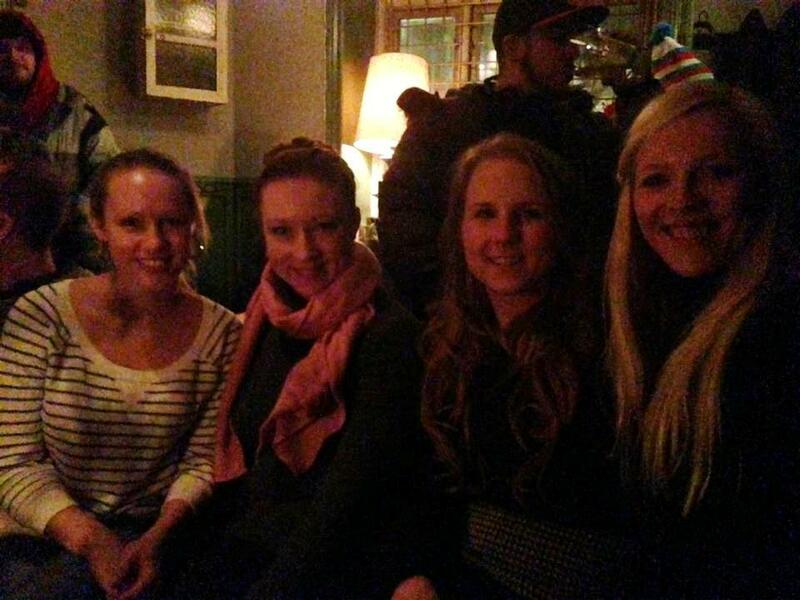 Some of the interns are getting together Friday night for some music and party in Copenhagen for Dark Distortion. I joined some of the other interns on Saturday night at Props Coffee Shop. It was a table of about 7 WHO ladies and the only guys were boyfriends, husbands or brothers! We had a great time and celebrated Australia Day by drinking Spanish wine and possibly appearing in a Chilean rap video…. Some of the WHO intern ladies. I had my nice list of tasks, broke them down into how I would accomplish them over the next 10 weeks or so….. and before Week 4 started, it was all out the window. Most days I don’t have meetings, but some weeks, there are meetings every day. I quite like attending the meetings because you really get the inside view of how the work gets done at this WHO office. And some of the meetings are more social in nature, like the Friday morning breakfast. But you don’t always get a lot of warning before. And I would dare to say that it is not uncommon for the interns to get assigned some tasks during the meetings. So, the work plan got put on hold for a few days last week to take care of some ad hoc tasks that had deadlines coming up within a few days. Whew! Got those tasks done and was all prepared to play catch-up on Monday to get things back on track. And the two meetings where I was to disseminate the information from, said tasks both got cancelled. Go figure! At least I am prepared for whenever they are rescheduled. 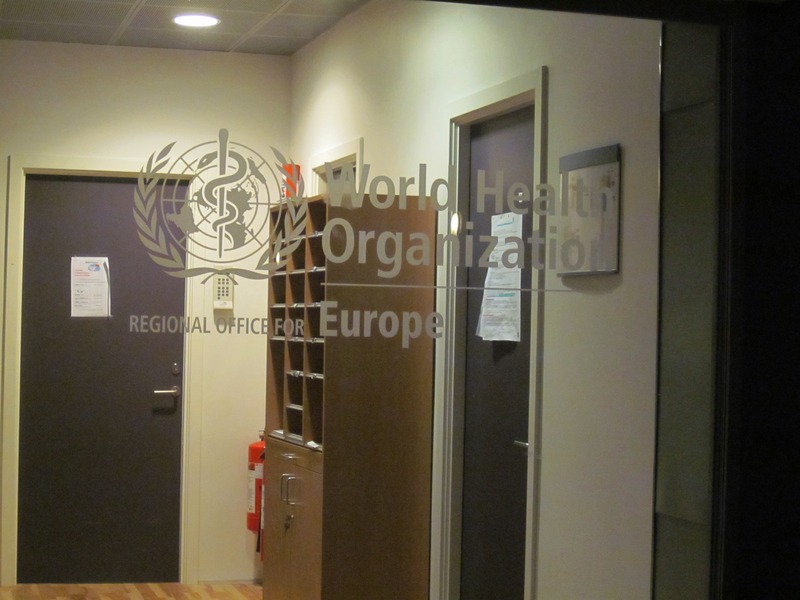 This week, I corresponded with the Telemedicine Division, who put me in contact with the WHO Collaborating Center on eHealth in Tromsøe, Norway. An excellent school for telemedicine, but I don’t think I can handle living 3 months out of the year without sun. I worked on updating the eHealth glossary of terms and also compiled a brief history of telemedicine, based on a course I had taught to Master’s in Engineering students at Aalborg University on Telemedicine Techniques and Aspects. As discussed with my supervisor, there are a growing number of telehealth terms that are often used interchangeably, so we wanted to have a cohesive way for those at the WHO to know what the terms mean and what their history is. Regarding the policy work, this week I was looking at the current eHealth policies in place in the EURO region so as to have a better picture of the disparities between and among member states and to develop ideas for how the Network of Age-friendly Cities could be best supported through existing infrastructure. This week, I kept digging into current policies and practices on telehealth in the Member States, compiling which countries and cities have services in place, which legal aspects have been addressed, and looked for best-practices. As usual, we had our weekly SO4 meeting. This week, I presented a summary of the web consultation requests for the Post-2015 workplan. I assisted a colleague in looking at what countries have reported planning activities in Healthy Ageing for 2014-2015. I was surprised that only 5 Member States reported that they are planning activities that focus on Healthy Ageing! It was also eye-opening to see how the system of requesting, meeting at face to face meetings, coordinating, etc. takes place to implement policy. No wonder it takes a long time to make and change policy! 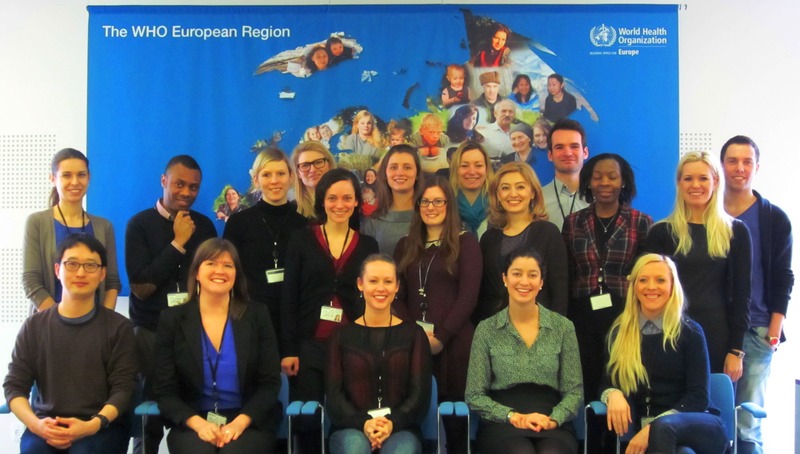 We also had a special treat as interns this week, as there was a General Staff meeting led by Zusanna Jacobs, the WHO Regional Director for EURO Region. Although much of the information did not pertain to my internship project or my career, it was interesting to hear the status of the EURO Region, budget planning, what activities or changes will be coming up, and employee questions. This week, I continued to dig into the current telehealth policies in the Member States for my report, further refined the telehealth glossary of terms, and summarized the planned activities for 2014-2015 in Healthy Ageing for the weekly SO4 meeting. This week, I focused on starting to list suggestions of what can be developed in the Global Network of Age-friendly Cities, based on the existing technical and legislative infrastructure in the Member States. This task was kind of fun to see which countries could be a mentor to neighboring countries who are developing their telehealth services. A lot comes into play when brainstorming on how to incorporate the policy into a wider scope of access to quality healthcare in EURO Region! Now that I have some suggestions for meeting the policy requirements, I started to look at the privacy issues regarding data security in eHealth systems in the EURO Region. Personally, I think this is one area where policy can look ahead and develop regulations based on potential use as well as standard or expected use. Technology is changing so quickly, and society’s use of it is ever integrated, that it becomes difficult for policy to “clean up” and put regulations in place after a malicious event has occurred. There are new interns joining all the time – and I must say, that one of the most enjoyable aspects of the internship is meeting the other interns, hearing about their backgrounds, interests, and motivations. It seems like a lot of us are highly motivated to work in our fields!! This week, I had a few meetings. I met with a man from the eHealth Division, and it was really refreshing to hear someone with a similar perspective as I. It was also nice to talk with someone about how frustrating it can be to work in policy on regulating the use of technology when the planning and implementation cycles are years long, and the technology has already changed by the time for implementation and evaluation. I also spoke with him a bit about policy vacuumes and data mining, Big Data and the work going on with UN Global Pulse. And these are concepts that I incorporated into my recommendations on data security and privacy in the Age-friendly Cities Network. I also had a meeting with my supervisor, to discuss how the internship is going, how the reports are going, and how my PhD is going. And around here is where things started to get super crazy with my living situation. It was already kind of crazy from Day 1. 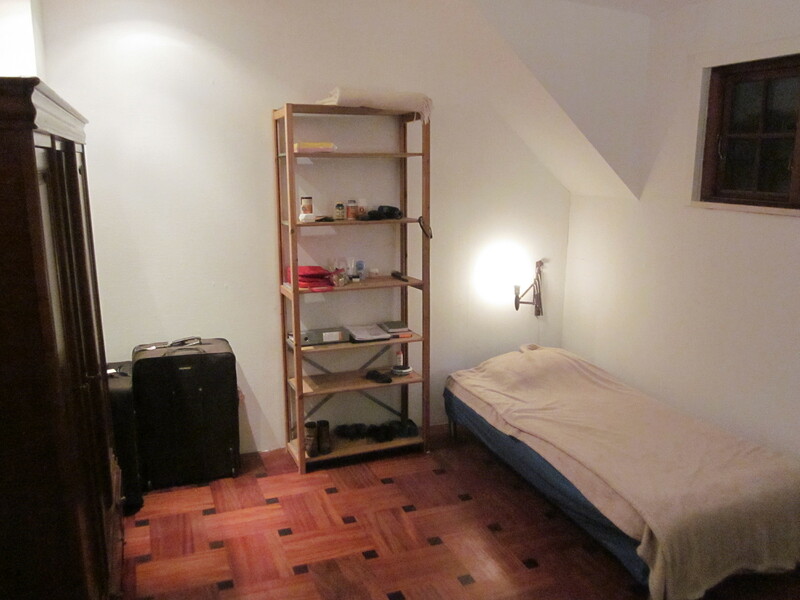 Finding accomodation that is affordable for students in Copenhagen can be quite difficult. 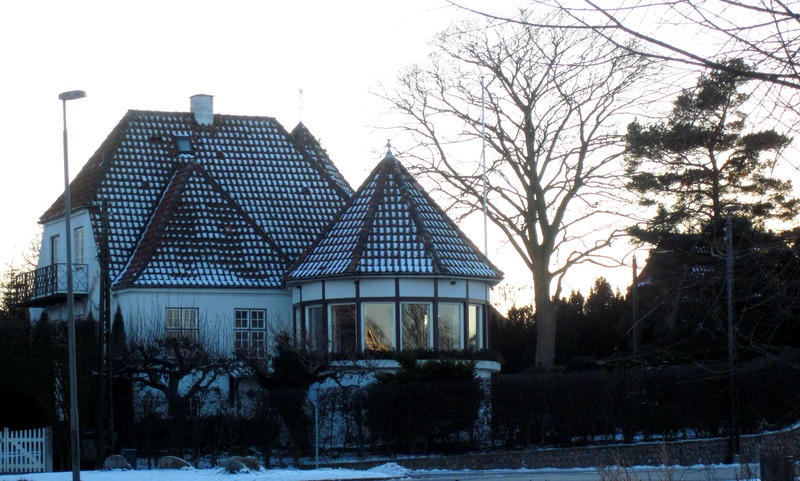 I found out about my internship about a month before it started, so in between the holidays (I started the internship Jan. 4 – and Danes really like to celebrate the winter holidays), it took me the entire month to secure the room I did have (18 meters squared at 3.900 a month – about $700). 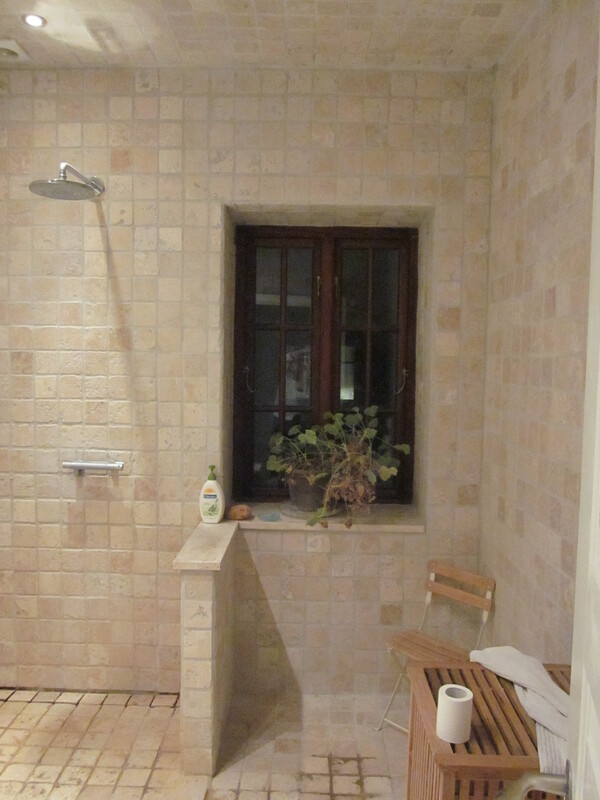 In the room advertisement, the man listed that it was a newly renovated home with French-style patios, heated floors, and what the owner called “the most beautiful shower in Denmark.” It was about 30 minutes North of the city center, in Brønshøj, which is actually a lovely residential area. 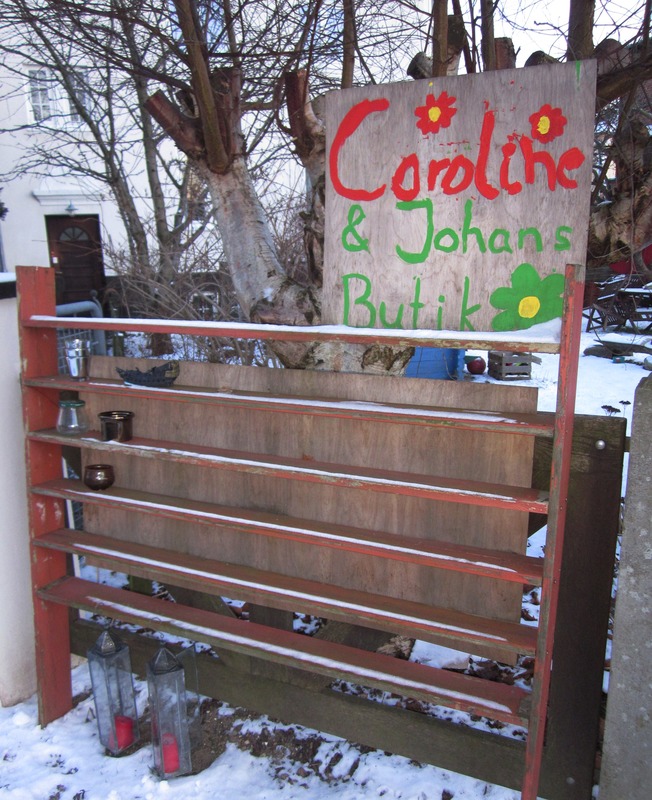 The neighbor kids had a cute little “shop” where you could buy cute worthless things. 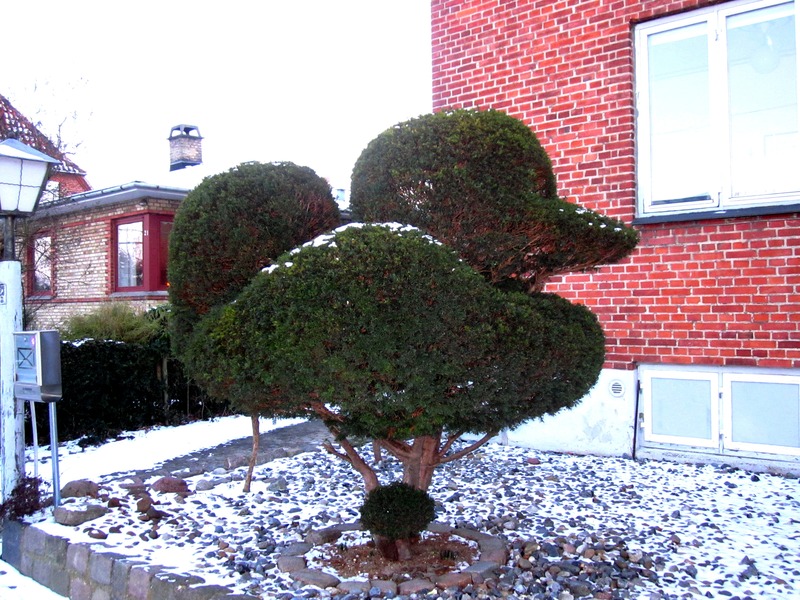 Landscape art in the neighborhood. Out for a beautiful walk by the lake. 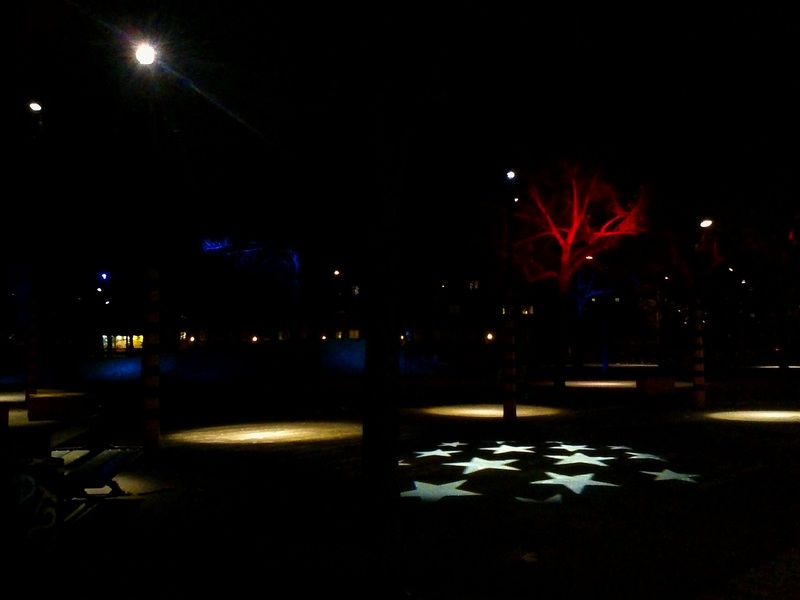 The pretty night lights at Hulgårds Plads (park). 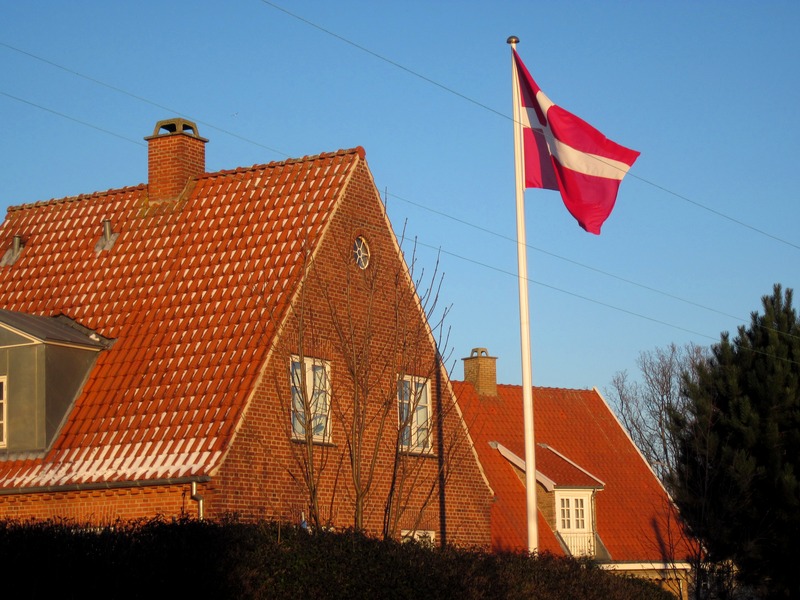 Danish flag, waving in the sunshine. Beautiful house in the neighborhood. 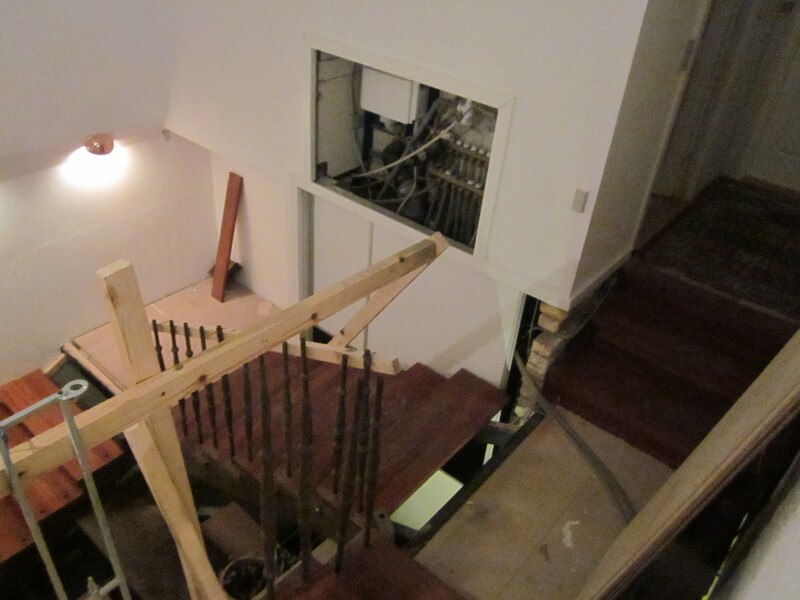 Entry from front door and stairs going to the second level. 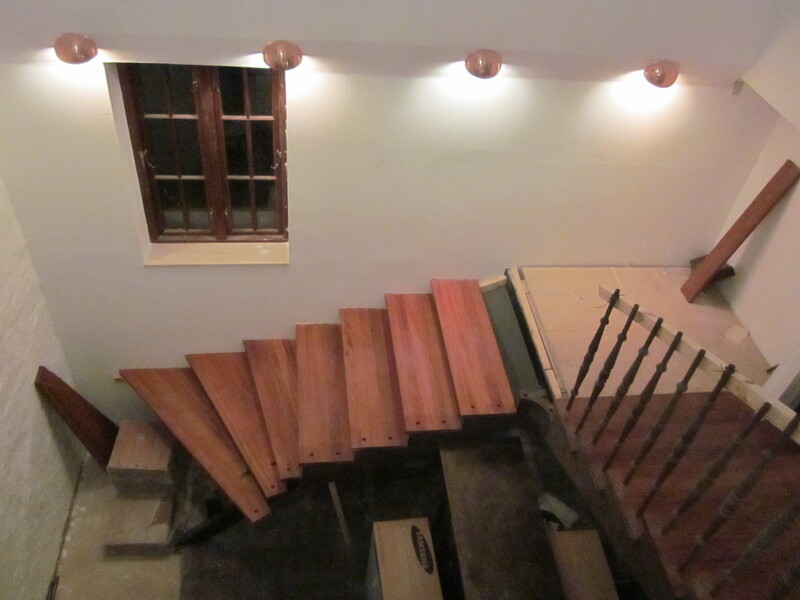 The gap in the landing between bedrooms once you are up the stairs. Not so fun to naviate in the middle of the night. The tubes are for the floor heating – they weren’t heating much. 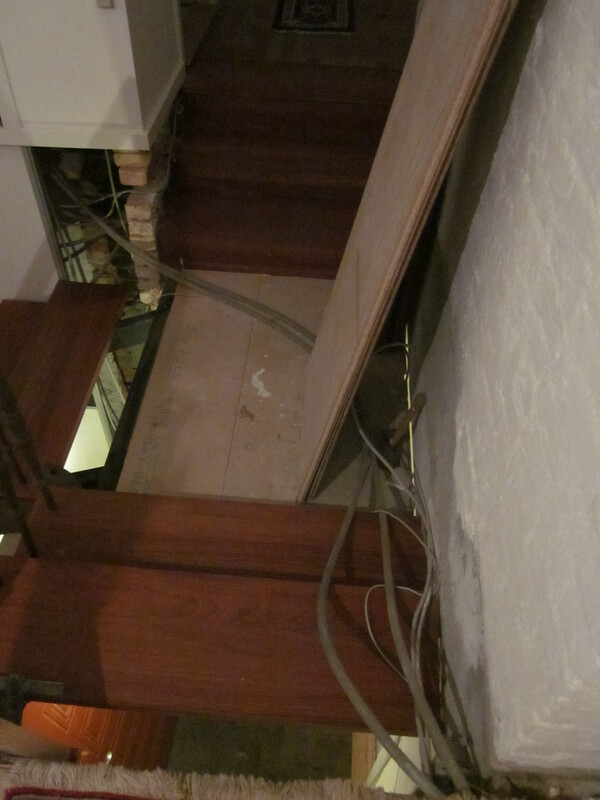 Yes, that big hole is where the floor heating pipes go. That wall was really warm, but turned out the hot water wasn’t leaving the spot and circulating through the pipes – so even if they were in the floor, they still weren’t heating anything. The landlord made sure to tell me that the handrails cannot take weight, they are only there to warn us it is the edge. But my room was actually quite spacious and cozy. Where things got craziest was with one roommate I had. He was a young man from Syria, but none of us could really find out how he got to Denmark or how long he had been living here. He told us all different versions and made a lot of jokes instead of answering anyone’s question. This roommate was the only one home when I arrived, and he basically presented himself as the owner of the house (although he did NOT look like a Torben to me). I should have known when he pulled a gun on my husband, that this was not going to work out so nicely. But, it was just an air rifle and I grew up on a farm so wasn’t extremely disturbed… yet…. But the guy kept getting worse. Pretty soon he was putting his fingers in my tea or food as I was preparing or consuming it, he would take his own knife and fork and start cutting my food while I was eating, he would stand outside his room (which was directly below mine) and smoke cigarettes, and due to the large gaps in the floors, all the smoke liked to drift into my room. If I was talking to my family back in the US on Skype, he would crank his stereo so no one can hear anything (he also liked to do this early on Saturday mornings, so when the other roommates have to physically go down to his room to ask him to turn it down, he can have some company), he would stand outside his room and just yell my name over and over and over. When I would finally come out to tell him I am in a phone call – he would just start his conversation and then get quite aggressive when I walk away again. He also liked to get under my skin by making a lot of sexist comments about how I don’t need a PhD to be a secretary, won’t it be harder for men to call me sweetie when I’m at work once I get a PhD, etc….. If he were my 11 year old brother, I could handle it a lot better, but he was my 25-year-old roommate. And I was in quite the time crunch to finish my internship as well as my thesis while I was living in the house. In one weekend, everything went sour and I decided I needed to move back to Aalborg and finish my internship report from the university. The WHO was moving offices to the new UN City, so everything in the office was in boxes and people were doing a lot of talking to coordinate the move. It was pretty difficult to concentrate on wrapping up the big report. I was also applying for permanent residency in Denmark that week, which is it’s own unique set of stressors right there – but I think I actually got more work done sitting in the immigration office for a day than I would have at the WHO office! That Saturday morning, the landlord had his crew come at 6.30 in the morning to start construction. Yes, we were warned…. the morning before….. but it would only be for 2 weeks and then done – no problem! Uh…. they were tearing out the basement of the house. So, by noon on that Saturday, the bottom level of the house had been shelled and there were no replacement boards where the walls and windows used to be. 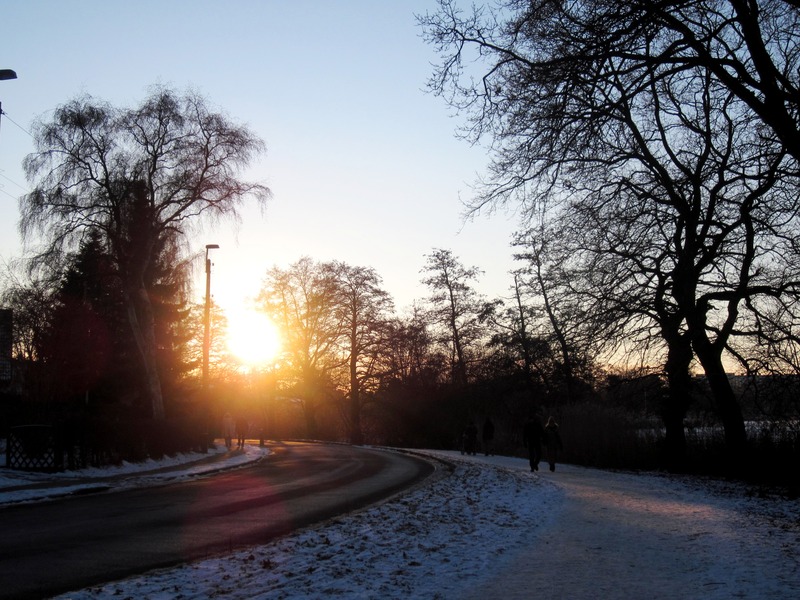 This was also during one of the coldest temps in Denmark history (-15C for about a week). That Saturday night, I met up with friends in town for a night of fun. We had a nice time and were getting some snacks at 7/11 before heading home… and that’s when I see him…. creepy and crazy roommate is hiding behind a magazine in the corner, with a mask over his mouth, just watching me……. He didn’t notice that I saw him, though. So, the next day I was already packed and talked to the landlord. 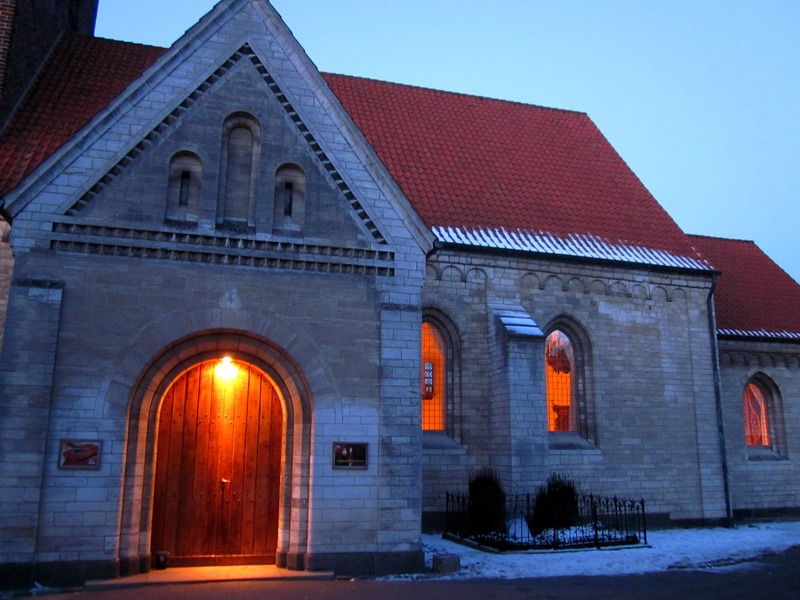 Monday, I talked with the supervisors and by Tuesday I was back in Aalborg. I think it all worked out for the best as the WHO office was going to be closed the next 2 weeks for moving anyway, and there was no way I was going to get work done at home in the construction zone. 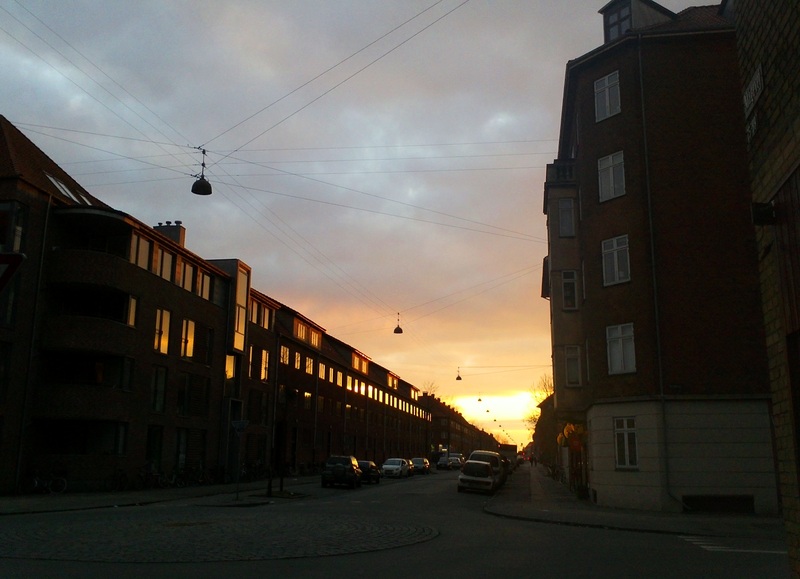 It was really too bad that it all went down that way and that I had to leave Copenhagen 2 weeks before planned, but I felt loads better getting back to my own office and bedroom. One thing that was frustrating was that the application process is quite strict and gives the illusion of high competencies required. But when I started the internship, it was quickly apparent that they did not want to discuss the theoretical perspective they are claiming (they claim a life-course perspective, but discuss a life-stage perspective – and they are two very different things). Life-course theory focuses on the history of a person’s life and experiences to describe their current state and project future states. Life stage perspective would look at what stage a person is in (childhood, adulthood, etc. ), in that stage alone. And when discussing health, there is a big difference. And when you are a global leader in health, I really feel you should have your theories correct – people are looking to you for guidance! Another aspect that was frustrating, is that the WHO website clearly states that you can do only 1 internship in your lifetime, for a maximum of 24 weeks, and that you would need at least 3 months after completion of an internship to be hired as an employee. Yet, more than a handful of interns were offered to extend their internships, sometimes more than once (however, this could still be within the 24 week period), and more than a handful became consultants for the WHO after their internships (although some may have met the 3 month waiting criteria, I didn’t ask a lot of details). Even in Healthy Ageing, where I was working, I applied for an advertised position – twice – and did not get it. One of the interns that was there at the same time as me, who also became a consultant directly after her internship, was also applying for the job both times and did not get it either. Finally, just a few weeks ago, I heard that they never found anyone for the position, so hired this consultant (but didn’t advertise the position again). 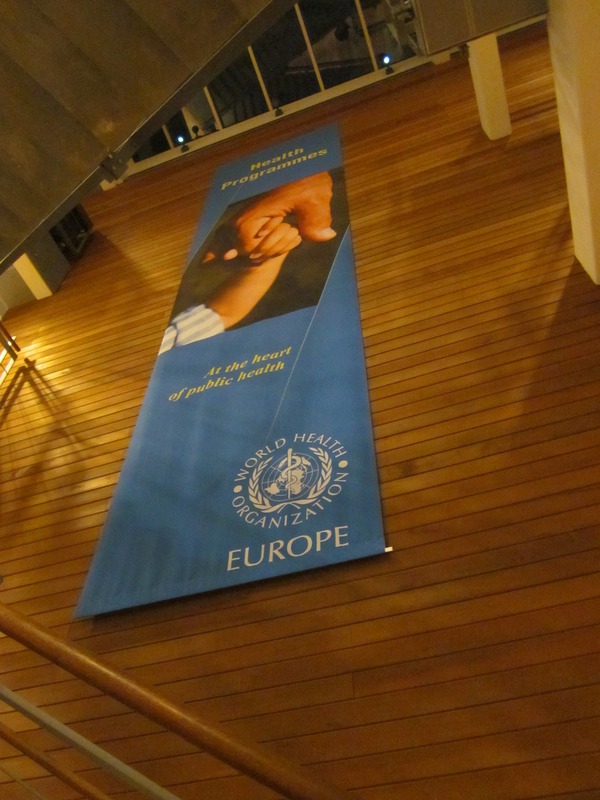 So, all in all, it was an interesting and crazy experience doing an internship with the WHO in Copenhagen. I saw a lot of differences in how interns were treated in the different divisions – some were given a lot of responsibility to work on publications, data analysis, or conference presentations, while others were summarizing documents, making copies, and doing busy work. I think mine was somewhere in between. I had a nice conversation with a Medical Doctor who was interning at WHO at the same time as me. He was also a bit frustrated that he went through the tough and long application process and was asked to come in as an expert in his field, only to be given smaller tasks, like taking minutes and sitting in (but not participating) in meetings. There were also interns who were finding it to be an amazing and inspiring experience. It seems that these were most often interns who were at the bachelor’s or master’s level of education, so it was interesting to reflect on how the extent of previous experience in one’s field really influenced how the internship was perceived. I realize that I went into the WHO with high hopes and holding them on a bit of a pedestal. The rose-colored glasses are gone, and I share these experiences not to trash talk the WHO, because they do carry out good and important work, but to let others know that they are a very large organization, there are a lot of politics involved, and it is humans carrying out the work – so even the almighty WHO is capable of fallacies. I also heard comments like “we aren’t really focusing on the older adults, though,” which made me wonder why they were even looking for interns in this division if they didn’t really want them to work on issues for aging adults. Either way, lesson learned was that policy and NGOs are different than universities and research!! This entry was tagged active aging, age-friendly, ageing, ageing well, aging, Copenhagen, eHealth, Europe, Global Network of Age-friendly cities, healthy aging, World Health Organization. Bookmark the permalink.